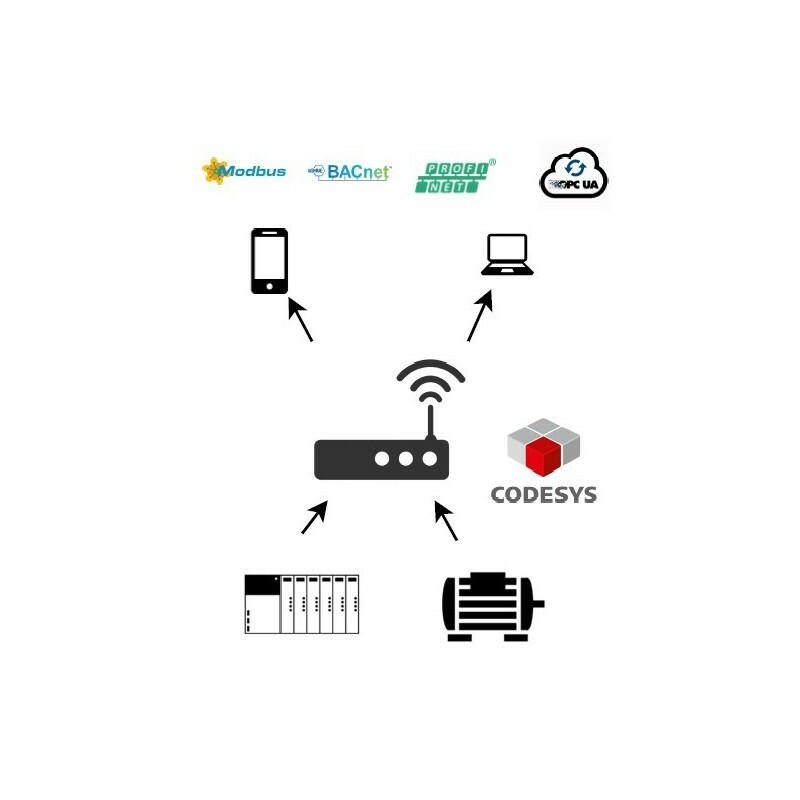 The Codesys Gateway allows you to quickly communicate your industrial equipment. 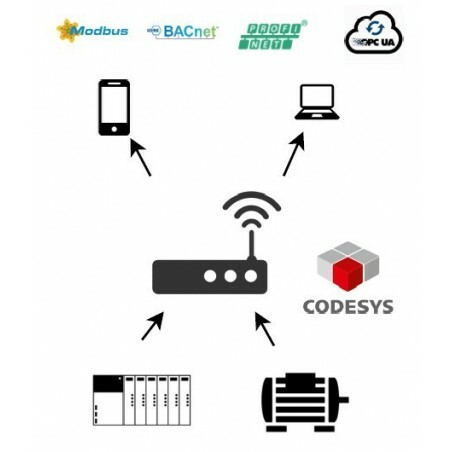 The Gateway is based on Codesys, which means that it can be based on hardware of multiple configurations, such as PLC's or even small computers, including a Raspberry Pi. You look for an effective solution to communicate industrial data. You do not necessarily need an ethernet network next to your industrial equipment. You need to take data to simple mobile applications to visualize production parameters. You need to communicate data from your equipment with other plant applications. You need to take data to the internet. Communicate data of equipment of multiple protocols, such as Modbus RTU / Modbus TCP, Profinet, Bacnet, OPC UA, etc. The Gateway can act as a PLC, so you can also implement logic before sending data. Have an OPC UA server embedded in your computer. Unlike other standard solutions, in which you often end up paying for unnecessary features, we provide you with the customized solution, with the hardware and software you need and, above all, at a highly competitive price. The prices are very competitive, just inform yourself!